Are you searching for GK Questions on Famous Places and on Indian Tourism? Then, you have reached the correct location. 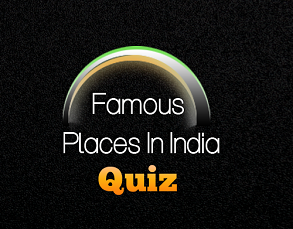 Here, we have provided a complete list of Famous Places in India. In the below list, we have also mentioned all frequently asked questions on Famous Tourist Places in India. Therefore, you can check all the Famous Places in India in the below table. Hence, the candidates who are preparing for the competitive exams must have a look over the GK Questions on Famous Places in India which are available on this page. Therefore, we have provided the Top Famous Places in India in the above tables. Hence, the individuals must check the list and gain knowledge of the famous places in India. As there is a chance of asking General Knowledge Questions on different topics, we advise all the aspirants to go to our GK Page, where you can get questions on various topics of the General Awareness.